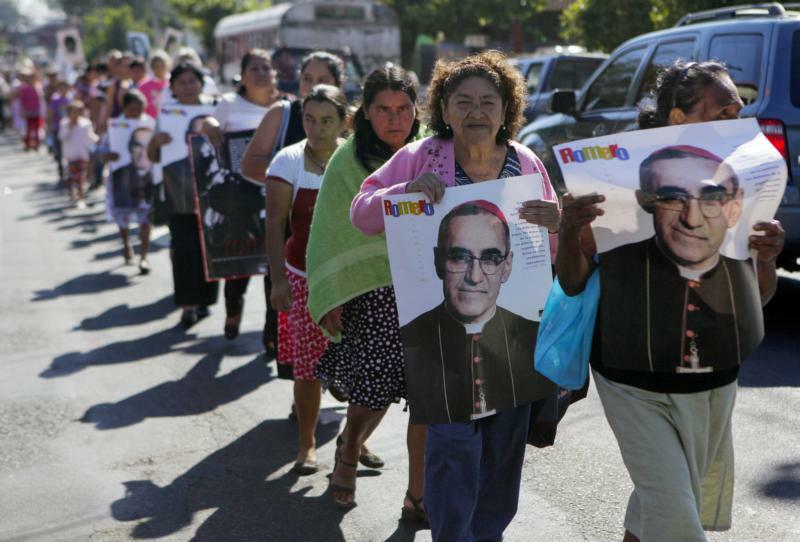 WASHINGTON (CNS) — The human rights office for the Archdiocese of San Salvador is taking the country’s judicial system to task, urging the prompt prosecution of those responsible in the assassination of St. Oscar Arnulfo Romero, calling for an end to “creative” excuses for not doing so. A Nov. 28 statement from Tutela de Derechos Humanos del Arzobispado de San Salvador, the archdiocese’s office of human rights, said excuses and barriers have been used for more than 38 years (since St. Romero’s assassination) for “not carrying out justice,” not just in his killing but in the killing of thousands of Salvadorans, including many Catholics who were murdered, tortured and disappeared during the country’s 1980-92 conflict. On Oct. 23, days after the Catholic Church declared Salvadoran Archbishop Romero a saint, a judge in El Salvador issued a capture order for Alvaro Rafael Saravia, a former military captain suspected of killing the religious leader in 1980 as the archbishop celebrated Mass. But there’s frustration that even though the order was issued, nothing will happen to bring Saravia and others to justice, said Father Estefan Turcios Carpano, director of the archdiocese’s human rights office, in a Nov. 29 telephone interview with Catholic News Service. Saravia, who for years has been a suspect in the killing, remains at large and is believed to be in hiding. The letter from the human rights office said Saravia, as well as other government and guerilla agents — former right-wing military strongman Roberto D’Aubisson; Saravia’s chauffeur, Armando Garay; Mario Molina, a former president’s son suspected of hiring St. Romero’s hit men — have to be brought to justice for the killing. All were named in a U.N. Truth Commission report that investigated the archbishop’s assassination. El Salvador’s office of the attorney general has conducted the case in a “slow and ineffective” manner, the human rights office letter said. It’s time for justice for St. Romero and for other victims killed “by the right and the left” during the conflict, Father Turcios told CNS. For years, prosecution of a slew of cases involving crimes that took place in El Salvador during the civil war proved fruitless because of a 1993 amnesty law that prevented prosecution of military human rights violations tied to the war. However, in 2016, the 1993 law was thrown out by the country’s highest court, and the case involving the killing of St. Romero was reopened the following year. The case has not advanced, even as courts keep issuing arrest orders that go unfulfilled. It’s hard to tell whether that’s their real intention, to seek justice, but “I certainly hope so,” said Father Turcios.